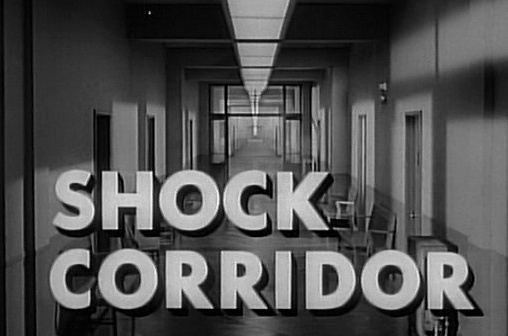 This entry was posted on February 26, 2008 at 8:37 pm and is filed under FILM, Politics with tags British Board of Film Censors, censorship, Sam Fuller, Shock Corridor, The Big Red One. You can follow any responses to this entry through the RSS 2.0 feed. You can leave a response, or trackback from your own site. Sam was a poet. I had the great pleasure of watching him shoot his late period masterpiece White Dog — which is about an animal driven insane. A true original and a delightful person. We shall not see his like again. I can’t compete with that — but I did see him “pitch” his dream project The Lusty Days at Edinburgh Film Fest, where he was a well-known character since his first appearance in the 70s. (Edinburgh in the 70s was at the forefront of appreciating Corman, Fuller, the “movie brats” — how quaint that phrase sounds today — and a bunch of happening stuff). It’s for my my University blog post.